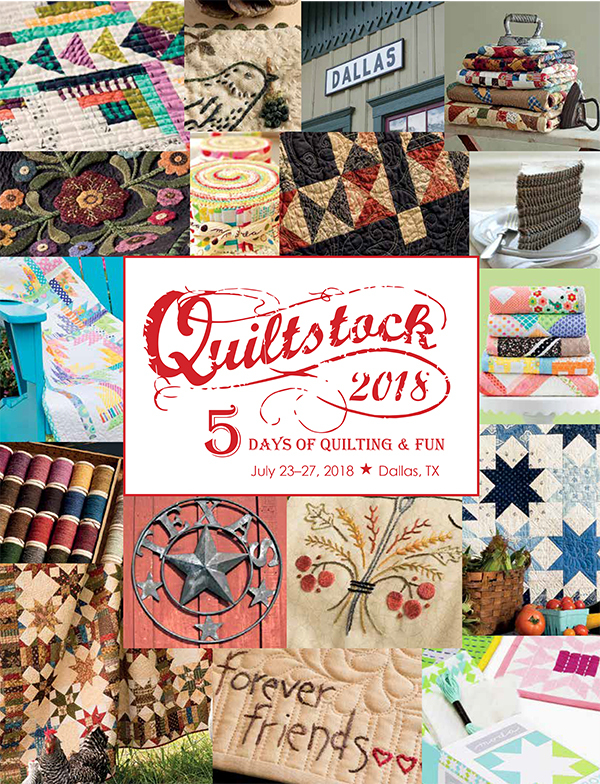 New details about Moda & Martingale’s Quiltstock retreat! Only 86 sleeps until Moda & Martingale’s Quiltstock Retreat gets underway! Have you grabbed your spot yet? Time is running out! We’re also ready to tell you a little bit more about the classes you’ll be taking—and the four all-star designers who’ll be teaching you! 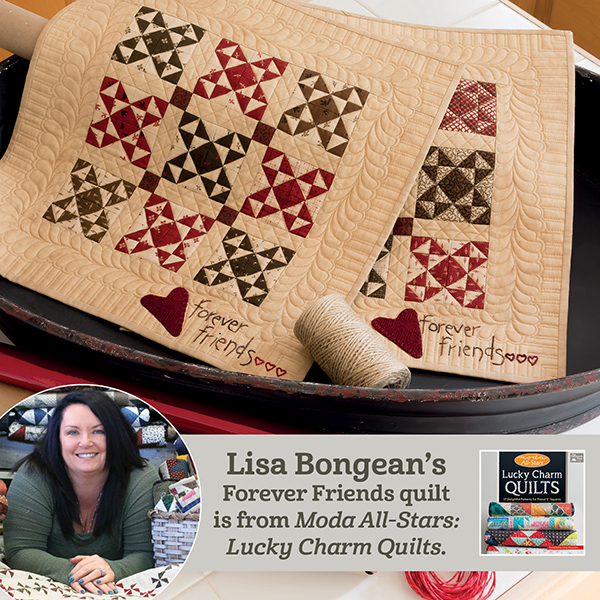 Lisa Bongean, the creator of the gorgeous A Quilter’s Journal (do you have yours yet? ), is a designer for Moda Fabrics and the owner of two Primitive Gatherings quilt shops (one in Wisconsin and the other in California). 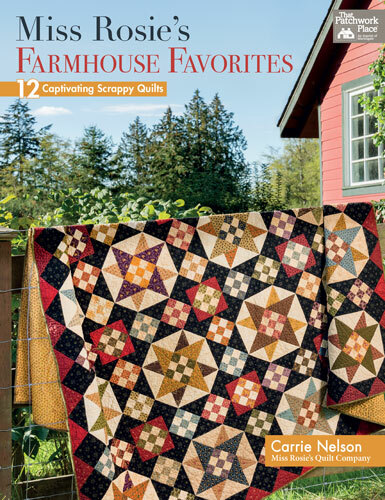 She creates patterns and kits, teaches at numerous quilt shows, and has contributed to several Martingale books (most recently Moda All-Stars: Mini-Charm Quilts). Learn more about Lisa at LisaBongean.com and more about her quilt shops at PrimitiveGatherings.us. 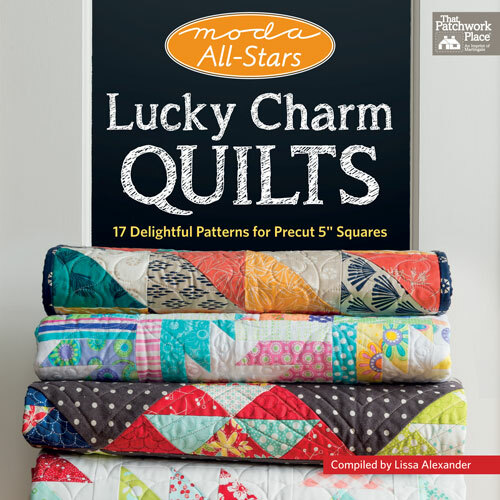 With Lisa, you’ll be making her sweet Forever Friends quilt from Moda All-Stars: Lucky Charm Quilts. 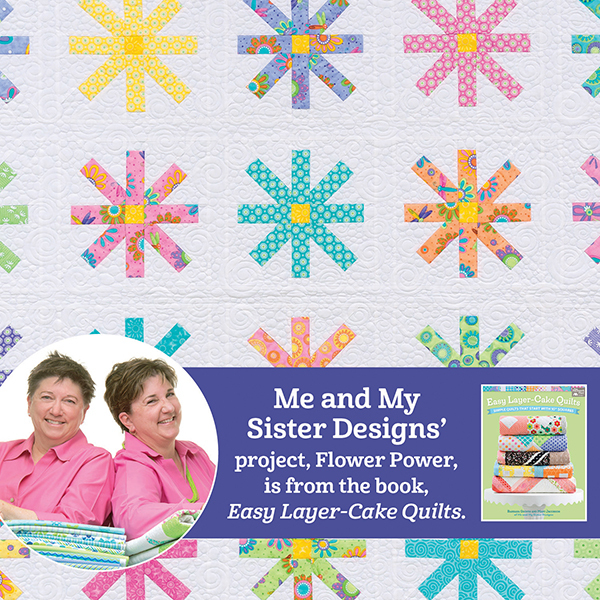 Barbara Groves and Mary Jacobson are sisters, quilt designers, and co-owners of Me and My Sister Designs. 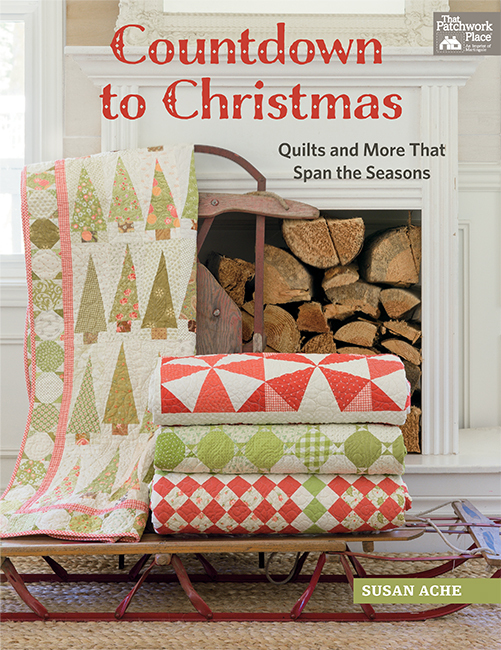 They’ve written six books with Martingale and designed several fabric lines for Moda Fabrics. They’re always a riot and we know you’ll love their humor and energy! Learn more about Barb and Mary at MeAndMySisterDesigns.com. 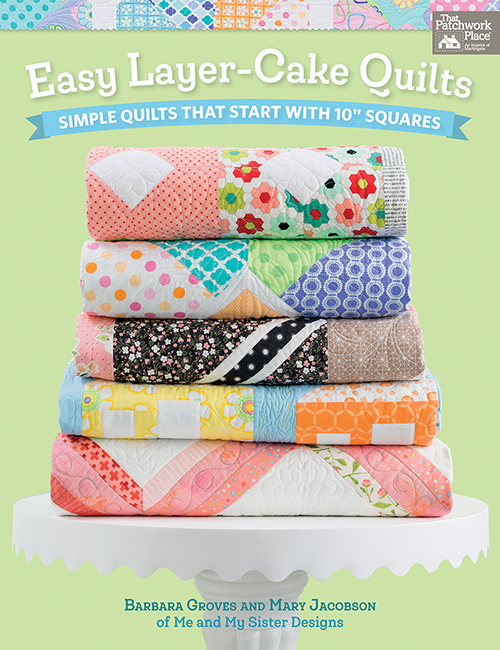 They’ll be teaching you how to make the Flower Power quilt from Easy Layer-Cake Quilts at the retreat. Carrie Nelson is the best-selling author of Miss Rosie’s Farmhouse Favorites and the “Schnibbles” series of books. She’s also the former owner of Miss Rosie’s Quilt Company and the social-media guru at Moda, where she’s known for her touching and humorous storytelling. She’s got tons of piecing tricks up her sleeves! 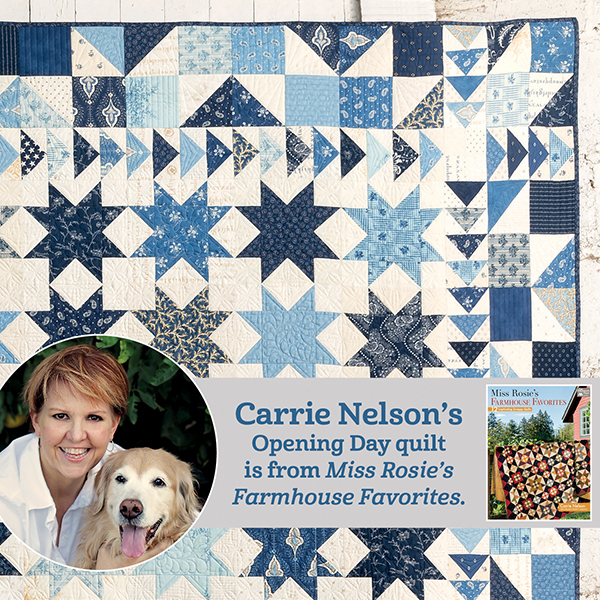 You’ll be making Carrie’s star-studded Opening Day quilt at the retreat. You can find Carrie on Instagram at @justcarrieintexas. 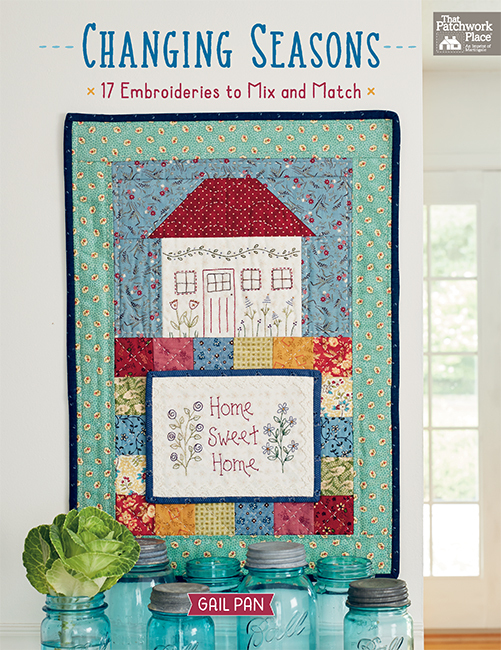 And last but not least, you’ll learn embroidery with another best-selling author, Kathy Schmitz! 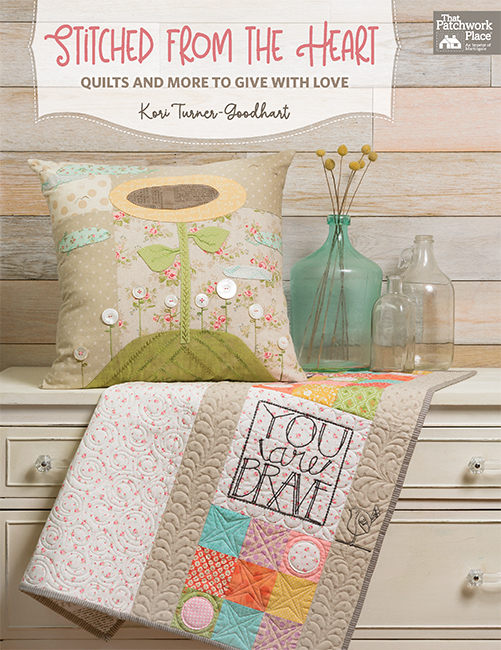 Kathy is a fourth-generation quilter who has been sewing and drawing since she was a child. She began designing fabric for Moda in 2002 and opened her pattern company, Kathy Schmitz Studio, in 2007. 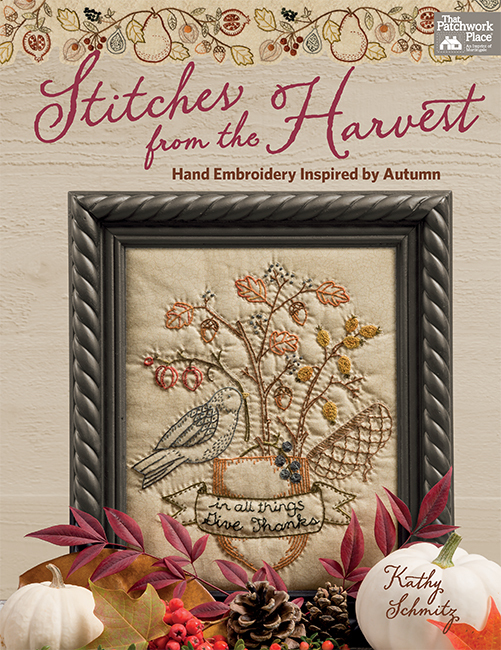 Her latest book, Stitches from the Yuletide, will be on store and online shelves beginning tomorrow! 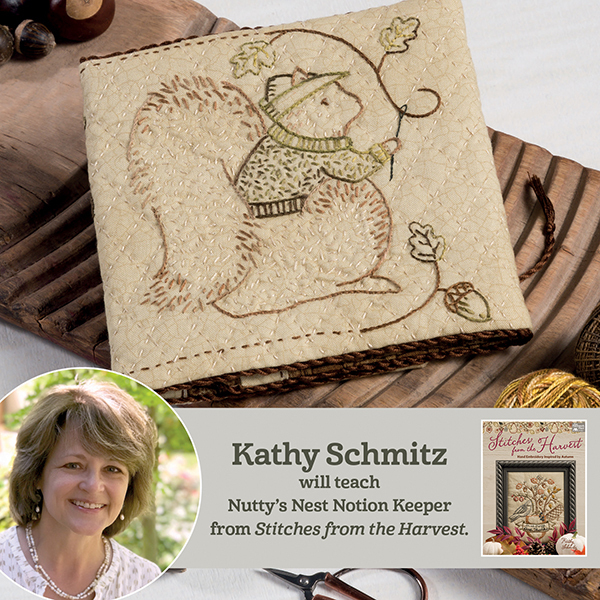 The Nutty’s Nest Notion Keeper you’ll be making from Stitches from the Harvest is as cute as can be. Learn more about Kathy online at KathySchmitz.com. We’ll have a copy of each of these books waiting for you at Quiltstock—remember to get them all autographed! As you can see, it’s going to be a FANTASTICALLY FUN FIVE-DAY EVENT—but space is limited and time is running out. Don’t miss your chance to recharge and reinvigorate your creativity at this one-of-a-kind event, brought to you by some of the best in the business! Learn more details about the retreat here. Got questions about Quiltstock? Ask away in the comments! I would love to go; each class sounds great and there will be such beautiful things made. I’ll just pretend to be there while working in my sewing room.